In Grudge Match, two boxers well past their use-by-date, played by Sylvester Stallone and Robert DeNiro, lurch back into the ring to settle an old score. No, despite first appearances, the movie is not a belated bout between Stallone’s Italian Stallion and DeNiro’s Raging Bull. There is, however, a calculated cunning in the casting of two boxing movie heavyweights. Laterally, at least, Grudge Match is the Rocky/Raging Bull crossover sequel no one knew they wanted. It’s no wonder it’s being referred to online as Rocky and Bull Wrinkles. A crossover film is the product of what happens when two different films love each other very much. It’s the coming-together of separate fictions, an exotic and often dangerous species in the ecology of cinema. The majority of crossover films are, in fact, cinematic grudge matches, employing the language of the boxing ring in their very titles: King Kong vs. Godzilla, Freddy vs. Jason, Alien vs. Predator. And it’s pretty obvious that the ‘meetings’ in Frankenstein Meets the Wolf Man and Zatoichi Meets the One-Armed Snowman aren’t going to involve lots of friendly conversation. There’s something instantly exciting about these interfictional face-offs – combinations and collisions of characters and scenarios that ought to exist only in the toy box of the imagination, like Donald and Daffy Duck turning a duelling pianos routine into all-out warfare in Who Framed Roger Rabbit. 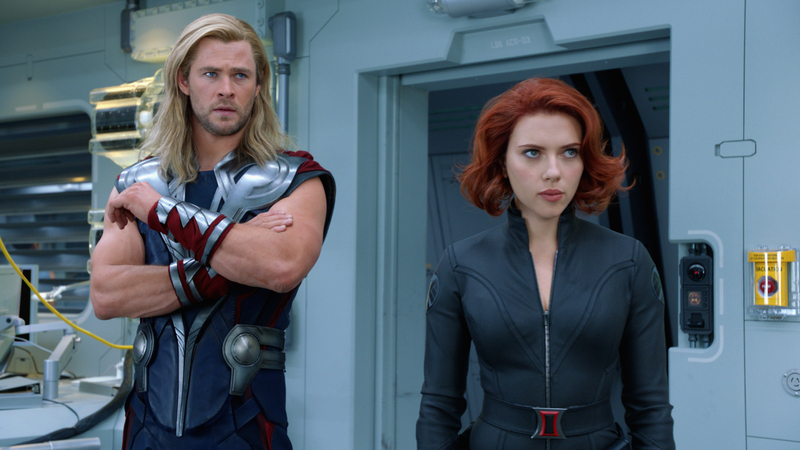 Dividing screen time between Robert Downey, Jr’s Iron Man and Chris Hemsworth’s Thor – characters who’ve stretched out and luxuriated in their own individual movies –makes for a fascinating study in contrasts. But an extended sequence in which they come to blows with one another is an especially giddy and gratuitous delight. It seems fitting, somehow, that the whole concept of fusing and feuding fictions on the big screen started as a throwaway joke. It also came out of Universal Pictures’ monster movie tradition – where ill-advised experiments, genetic aberrations and ghastly creations abound. Waggner didn’t get the joke, but he did get to thinking about the box office potential of pairing up two of Universal’s most popular movie monsters. Days later, he put Siodmak to work on the screenplay. “That taught me never to joke with a producer,” said Siodmak. In the resulting 1943 film, you can sense Siodmak’s frustration at trying to make mismatched pieces fit – or, to use Siodmak’s own analogy for the task, combining whipped cream with herring. The silver bullet mythology established in the original Wolf Man movie is forgotten about, and Frankenstein’s monster is disinterred from ice, even though he perished in a fire in the last Frankenstein movie. Frankenstein Meets the Wolf Man cleared the way for Alien vs. Predator but, happily, it also triggered a series of movies in which the hapless comedy duo (and fellow Universal property) Abbott and Costello Met the Monsters: enduring comedies and the perfect crossovers of frightful and funny. In his own way, he may have had a point. A crossover film asks its audience to embrace its inherent silliness, its wrongness, its shameless dedication to the central gimmick and stubborn refusal to surrender to logic, sense and good taste. 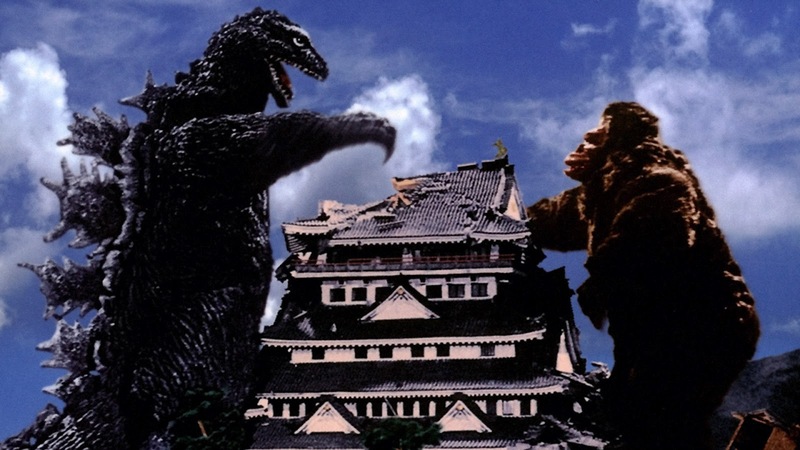 There’s a twisted entertainment to be found, for example, in the way King Kong vs. Godzilla practically roars its own colossal phoniness, supersizing Kong from a not-unintimidating 18-25 feet to a whopping 150 feet so he can stand up to 165-foot Godzilla. And there’s an admirable boldness in how Freddy vs. Jason serves up gallons of gore but doesn’t bother supplying a point, since the villains facing off are clearly indestructible – and how Freddy’s decapitated mug literally winks at the audience as if to confirm the futility of it all. With the increased dominance of comic book adaptations in Hollywood, and since Clark Kent and company are notoriously promiscuous crossoverers, cinematic grudge matches are sure to become only more common. We may never get an actual Rocky/Raging Bull flick, but with studios like Disney accumulating assets at a serious pace, it won’t be long before Darth Vader and Captain Jack Sparrow, or Terminator and RoboCop, or James Bond and Ferris Bueller – or some other unlikely incestuous tryst we dare not imagine – face off. There’ll be the inevitable unsightly mutations, but hopefully also some interesting new specimens. 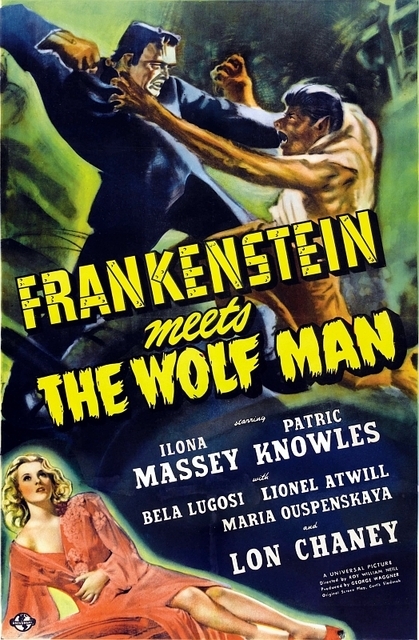 With Universal eyeing its own monster menage for a potential renovation, it’s a sure thing that Frankenstein’s monster and the Wolf Man will meet yet again. Perhaps next time they’ll resolve their differences. This article originally appeared in the Sydney Morning Herald in January 2013.